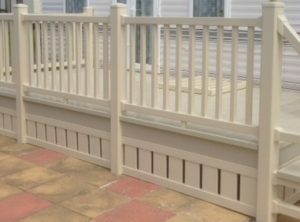 Stylish skirting can provide the ideal finishing touch to your decking and can offer an additional storage solution for your holiday home essentials. With a choice of ranch style (horizontal) or vertical (150mm and 300mm styles), Liniar uPVC skirting is available in the same full range of colours and finishes as the balustrade – providing the perfect match to complete your installation. 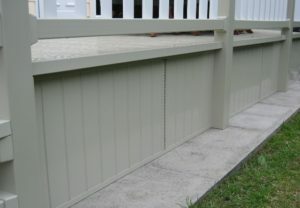 Skirting can be configured to fit different shapes, sizes and plots, on flat or sloping ground, and is an attractive way to hide away any unsightly services to your holiday home. Access to services can be facilitated with hinged and latched doors, and you could even add an outside tap to water your plants. A locking gate adds an element of privacy and security to your decking installation, and is particularly useful for those with children or pets. Liniar’s innovative ‘gate elbow’ means that lockable gates of bespoke sizes can easily be provided. As part of our on-going commitment to making the life of decking installers easier, we are now offering pre-fabricated gates as part of our range – saving on time, money and waste. 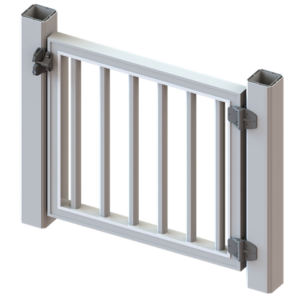 The gates are supplied at a standard width of 930mm and 863mm in height, designed to suit an opening of 970mm with an overall outer post dimension of 1220mm (4 feet). Bespoke sizes are also available through the decking kit order form. 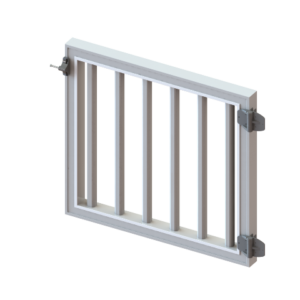 Consisting of a sculptured bottom rail as the outer frame and sculptured pickets in the vertical orientation, Liniar’s pre-fabricated gates have drain holes pre-drilled in the bottom of the frame and contain steel in the hinge side. All necessary fixings required are supplied with the gates, including two polymer self-closing hinges. Lockable latches are available to order separately. Liniar’s pre-fabricated gates are available in six colours from stock – beige, cream, white, forest green, oak and 7016 grey. 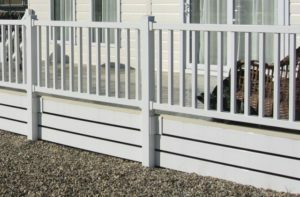 Find out more about Liniar’s range of decking and decking kits – ideal for both holiday homes and domestic properties.